Are you afraid of flying? All self-limiting beliefs, phobias and bad habits are simply bad programs buried in the subconscious area of the mind. Willpower is entirely ineffective in dealing with these issues because you are prevented from accessing the source of the problem. Craig Beck is a master hypnotist of twenty years standing and is also a respected timeline therapist and NLP master practitioner. He understands what makes people tick and more importantly how to access and remove the erroneous programs that cause us problems in everyday life. 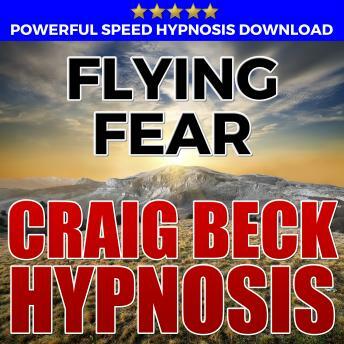 Designed to quickly help you overcome fear and be able to fly without worry or distress; Use this powerful and proven MP3 hypnosis download to help with The Fear of Flying.